The Brick Clock joins the striking family of timepieces made by LEFF Amsterdam. 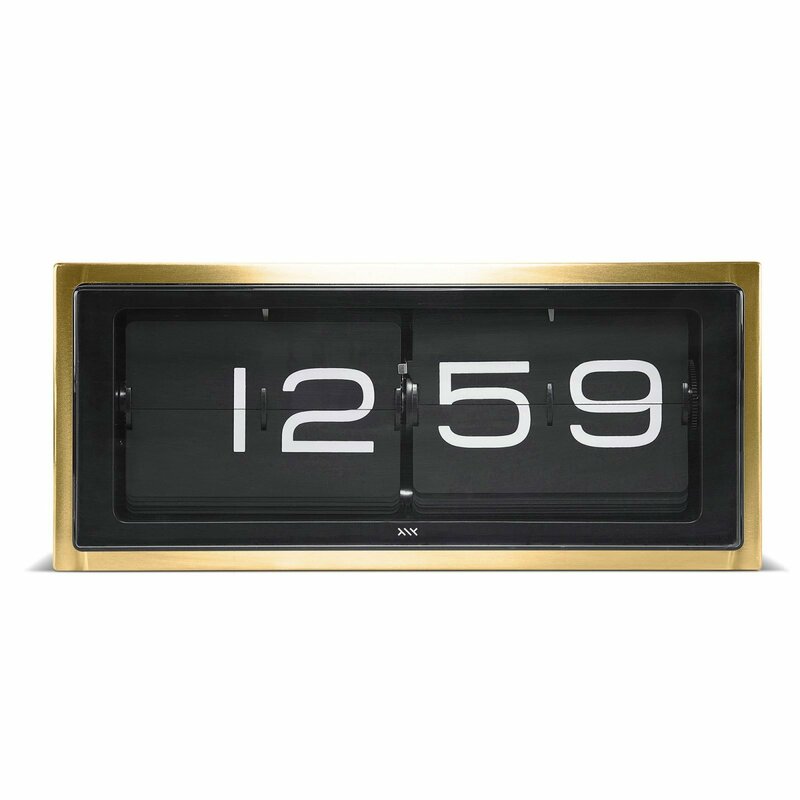 Designed by Erwin Termaat, this clock offers a modern take on vintage flip clocks, maintaining the alluring design and adding a contemporary touch. Reinvented as a stylish timepiece that combines function and style, Brick is also built to stand the test of time. A heavy duty construction and premium materials ensure that it will count minutes and hours for many years to come. The copper plated stainless steel case is welded and brushed by hand, bearing the marks of a well-crafted product. It houses a precise flip movement mechanism and a black dial that features white numbers, for perfect visibility. 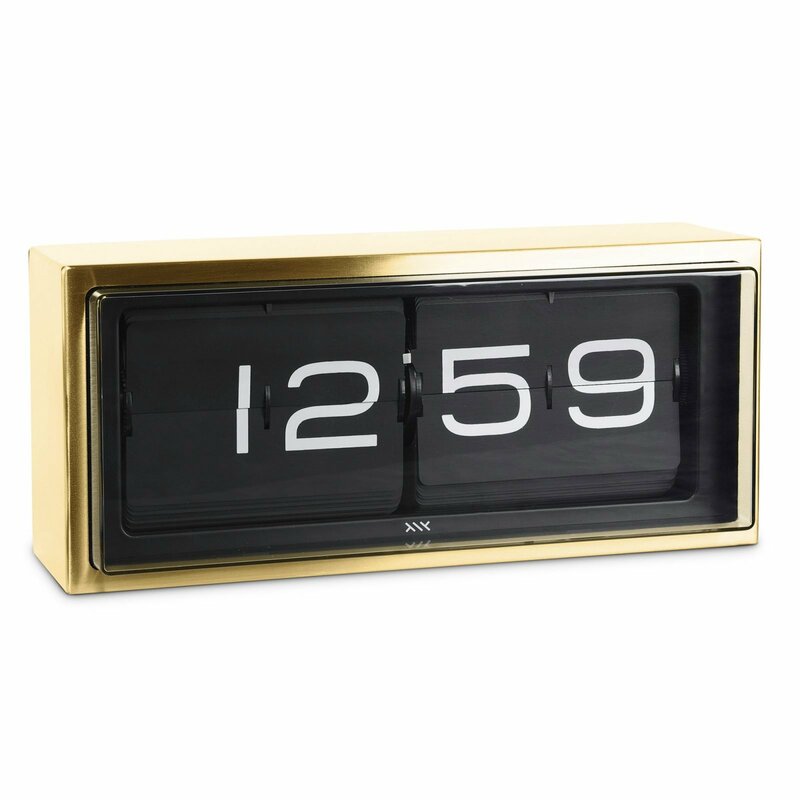 The Brick – Copper Black clock comes with two batteries, two screws, a plug, and a cleaning cloth. 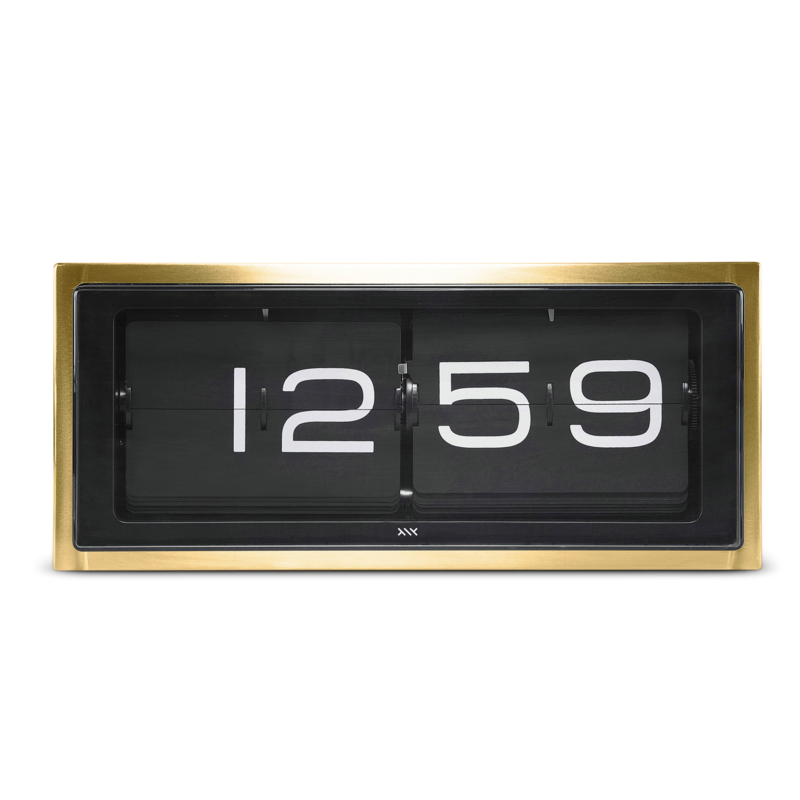 It can be either placed on a desk or installed on a wall.